Wednesday afternoon, 3:32pm, Aria made a powerful entrance into the world when she surprised us all with a breech birth. When I first learned we were pregnant with Aria, God put it on my heart that this child would have a lion heart, strong and grounded. Little did we know the many adventures we would experience. From an incident with an Epipen at 7 weeks pregnant, to preterm labor at 26 weeks, and moving homes and remodeling in my third trimester. She has stood the test of time… fierce and strong. Welcome to the world, little lion heart. I am honored to share our story. 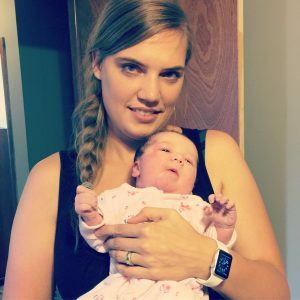 Tuesday evening, July 18th, I laid on my couch timing contractions… I had been in early labor for about a week, contracting 5-7 mins apart, every night. It was exhausting. So as I laid on the couch I sensed the shift.These contractions were the real deal… the 19th would be her birthday. Jason worked late, getting home around 10:30pm. He came home and I told him to get rest, I would need him the next 24 hrs. I rested on the couch all night since I couldn’t sleep. In the morning Jason and I decided to go have a baby moon breakfast at Village Inn, I was in active labor at this point, but I knew I was still a few hours from “baby time.” Staying in touch with my midwife, timing contractions, etc, we all felt this would be a good distraction as labor progressed. 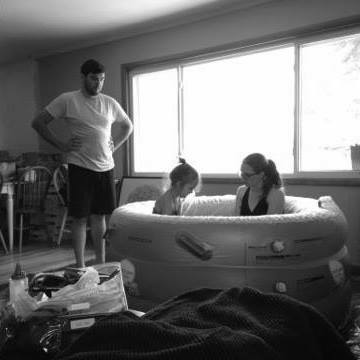 This is one of my favorite things about home birthing; the fluid communication and teamwork. Once we finished eating and arrived home, I began looking over my birth playlist and added a few songs that I had on my heart that morning. Around 10am my midwife, and her assist, arrived. I was experiencing some painful contractions by this point, so I had my music turned up as I was swaying and singing. I found that singing into the contraction helped me to pace my breathing and focus on the words of the song, instead of the pain. During this time Gemma briefly climbed into the birth tub with me, rubbing my back some. She was a big helper at each of my prenatal visits, so she organically learned about birth and where Aria would come from (FYI: from my “agina”). She was incredibly easy going around my labor, she and I cuddled and laughed between contractions. Reia, however, was running errands with my parents, and ultimately was napping during my birth. The women who supported me during birth were a true gift, from little Gemma, all the way up to my own momma. Never did I imagine CHOOSING to have a room full of people for one of my births, but I am eternally thankful for each of them dedicating their energy to our special day. I was surrounded by peaceful smiles and chatter. It felt more like a casual get together than a birth at times. When my midwife checked my dilation and told me I was 10cm, we were all surprised! I had sailed past transition and was ready to push, and not even *I* felt things were that serious. Meditation, music and community brought us to the final stretch in beautiful shape. All the while, my waters were still intact. I was beginning to wonder if she was going to be born en caul. After stalling at 10cm for roughly an hour, I decided to try pushing with a contraction to see if she was ready. Nothing. I tried this a few more times, before we realized that I would need to push harder, since I wasn’t triggering the urge to push. (Because this experience was full of spiritual significance for me, I feel it’s valuable to share that the song that began playing while I delivered Aria, was “The Climb”.) Never feeling the urge to push, I pushed harder, until I felt that I was crowning. I am told that I was so calm during this, that when Aria began to come out everyone was surprised to find that I was pushing at all. Only about 3-5 minutes lapsed. As I began crowning, I realized that something felt different. This was my third birth… and I didn’t remember it taking so much effort to deliver a head before. Where was the primitive urge to push? And then I heard it, “Your baby is breech” which I believe was shortly followed by “I need to free her feet, I need you to change positions, you need to stand up.” In a flash, I processed this bombshell and accepted it. As a birth educator I instantly knew there are many ways that this could play out. Breech births are quite unique, but I chose to trust my midwife and used every ounce of my strength reserve to bring our girl earth side. One thing was for sure, I was not getting a primitive assist with pushing, it just wasn’t biologically happening. So I geared up to give everything I had to push that baby out… while changing positions from hands and knees to standing, in the process. With help I stood up, my midwife manually delivered Aria’s feet, and in what seemed like a fluid motion, I was back in the birth tub receiving well earned baby cuddles. All things considered, I pushed Aria out exceptionally fast for a breech baby, and broke my own pushing record for my previous births in the process (somewhere around 10 minutes, including position change). Aria was a little blue upon arrival. With breech birth the pressure can compress the cord some, and also doesn’t push fluid from their lunges like a head-first birth would, but she pinked up quickly. In addition to a quick exit, I didn’t tear, baby didn’t pass meconium, and no breathing assistance was needed. All of these complications are extremely common place during a breech birth… so it’s safe to say that grace abounded. In preparation for this birth and subsequent new chapter, I underwent a process called RAMP; a targeted meditative process that brought me a supernatural level of comfort during my birth. One of the tools that RAMP helped me discover within myself pertained to my hands. When my hands are open, they can receive The Spirit. With each contraction, I opening my hands… I releasing the pain and received His strength, but I also received gifts from my birth crew. They’ve each told me how thankful they were to be there, but truly it was I who was honored. They each brought invisible gifts to my birth… gifts that made me feel calm, safe, relaxed, rested, powerful and joyful. Gifts that cradled me through painful labor and a tricky birth. 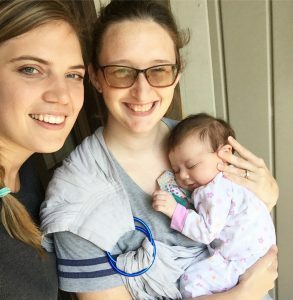 This birth story is longer than I anticipated it being, but this birth’s glory was definitely in the details. It was in my husband’s hard work behind the scenes to get our home reassembled, It was in Gemma’s repetitive questions about birth as she held my hand during “squeezes” aka contractions. 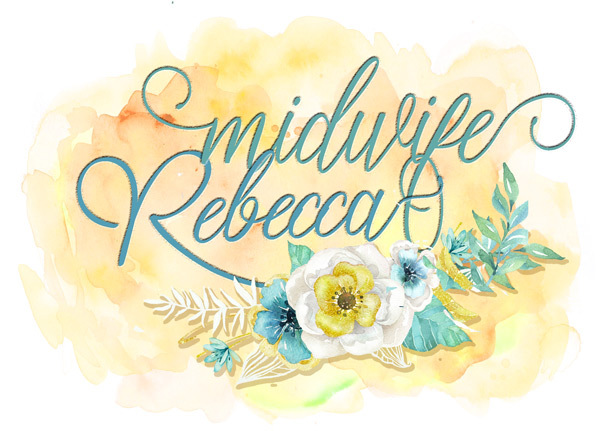 It was in my midwife’s gentle presence and calm response to complicated circumstances. It was in my dedication to my personal growth and healing on a psychological level. It was in the spirit of a baby girl who defied odds constantly, joining our family as the best surprise ever. This birth was a mic drop.